Every day, more and more people are taking up vaping. It has reached an almost frenzied level of popularity. So much so, in fact, that there is a plethora of accessories now associated with vaping. There are MOD holders, lanyards, carrying cases, adapters, power chargers, bracelets, and vape gear. 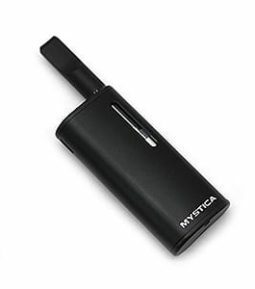 Get Introduced to Our Most Popular Vaporizer Accessories! The Coil Master Pbag is one of our most purchased vaping accessories. With this bag, you can take your favorite vape kits, devices, and e-juices out-of-doors. Inside, you can now keep your coils, cotton, and battery in order. Meet all of your vaping needs with the Coil Master Pbag. This bag is made of canvas and is 1.37 inches thick, 3.54 inches wide, and 4.33 inches high. Currently, we carry the bag in blue, but it also comes in denim, black, and red. It even a Velcro strap to secure your supplies against accidental escape, and front zip-pocket. Attach it to your belt loop or belt with the handy carabiner. Many vapers like to use their device while it is still contained within this bag. Why Buy Vaporizer Accessories from Discount Vape Pen? We offer some of the most competitive prices online, our shopping process is easy, and we pride ourselves on an impressive selection and fast delivery. Find out why more and more experienced vapers are choosing Discount Vape Pen as their go to shopping site for all of their vaping needs. Why settle for second-best just because it's available at your local store when you can purchase the finest equipment here? Enhance your vaping experience with our selection of 144 flavors of e-juice and our extensive inventory of vaporizer accessories!